80034-0465 - Literature Bag N/a. 18 78560-2679 - Round Bushing. 11 80065-0013 - Grill N/a. 19 80067-0009 - Seat N/a. 80017-0114 - Decal Sheet N/a. 37 80062-0023 - Rear Wheel N/a. 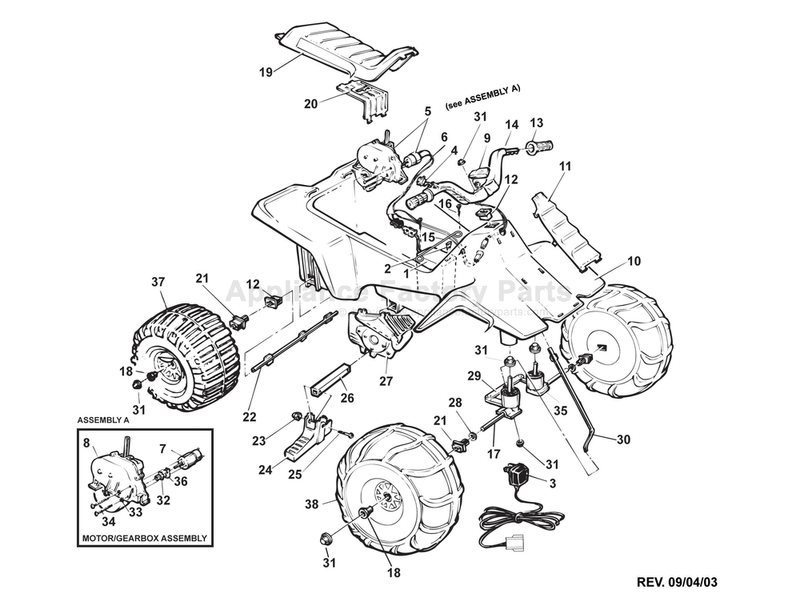 38 80062-0024 - Front Wheel N/a.